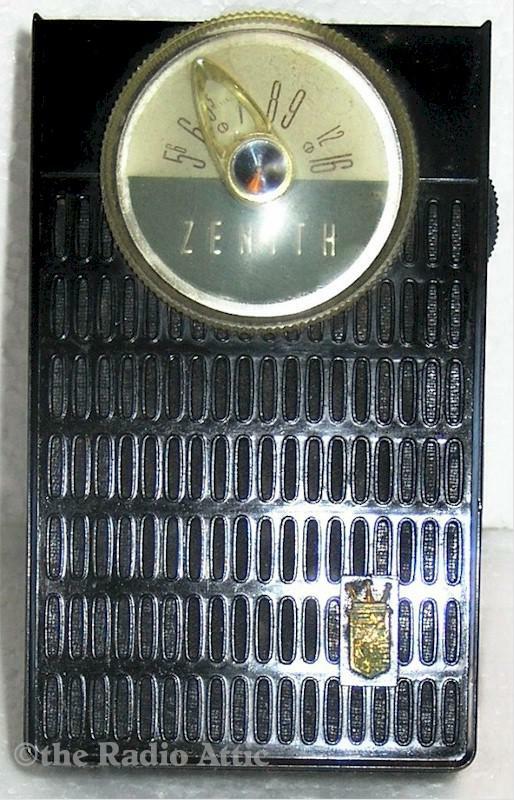 This Zenith Royal 50 pocket radio is in excellent working condition. It is a six-transistor set with a Thermoplastic case that's in perfect condition with no chips, cracks or scratches. Works with two "AA" batteries which I have included. 4-7/16"H x 2-3/4"W x 1-1/4"D.
You are visitor number 992 to this page.